Everybody who's seen Bogaerts knows he can hit, but in this interesting piece by Tim Healey of SoxProspects.com, the 20-year-old Aruban explains his recent affinity for bunting. PawSox manager Gary DiSarcina said it's a skill he made need when promoted to the big leagues, which, as we noted last week, could come before the year is up. Healey also details Brayan Villarreal's unexpected trade experience and documents his recovery from a thumb injury. While Bogaerts seems to be getting all the attention in Triple-A these days, it wasn't too long ago that Jackie Bradley Jr. was in the white-hot spotlight. Tim Britton of the Providence Journal delivers an update on Bradley, who continues to make strides. Mookie Betts and Daniel McGrath earned Player and Pitcher of the Week honors for the week of Aug. 5-11. In seven games played for Salem, Betts posted a .478/.571/.783 line, while McGrath worked a perfect 7 1/3 innings between two appearance for Lowell. Speier takes stock of Betts breakout season, and notes his "skill set projects to make him a valuable big leaguer." In this week's Scouting Scratch, SoxProspects.com Northeast Scout Ian Cundall gives his impressions of lanky left-hander Henry Owens. Cundall notes Owens, who was recently promoted to Double-A Portland from High A Salem, might have the highest floor of all the hurlers in the Red Sox system. Right-handed hurler Joe Gunkel pitched a scoreless inning the New York-Penn League All-Star game after being named to the team earlier in the week. Gunkel was joined by outfielder Kevin Mager, who went 0 for 1 as a pinch hitter, and Sergio Gomez, who was promoted to the Greenville Drive following his appearance. SoxProspects.com Editor-in-chief Mike Andrews put together his annual comprehensive list of major leaguers with ties to New England. The Red Sox announced signing four international free agents, according to multiple media reports. Among the signings was 16-year-old Dominican third baseman Rafael Deveres, who MLB.com ranks as their 6th overall International prospect. Deveres, who reportedly signed for $1.5 million, joined left-handers Emmanuel DeJesus and Jhonathan Diaz and center fielder Yoan Aybar, all 16, as the newest Red Sox. Scott Lauber of the Boston Herald caught up with Garin Cecchini, who is almost two months into his promotion at Double-A Portland. Cecchini talks about his admiration for Tony Gwynn, and Lauber harps on the 22-year-old's consistent approach. 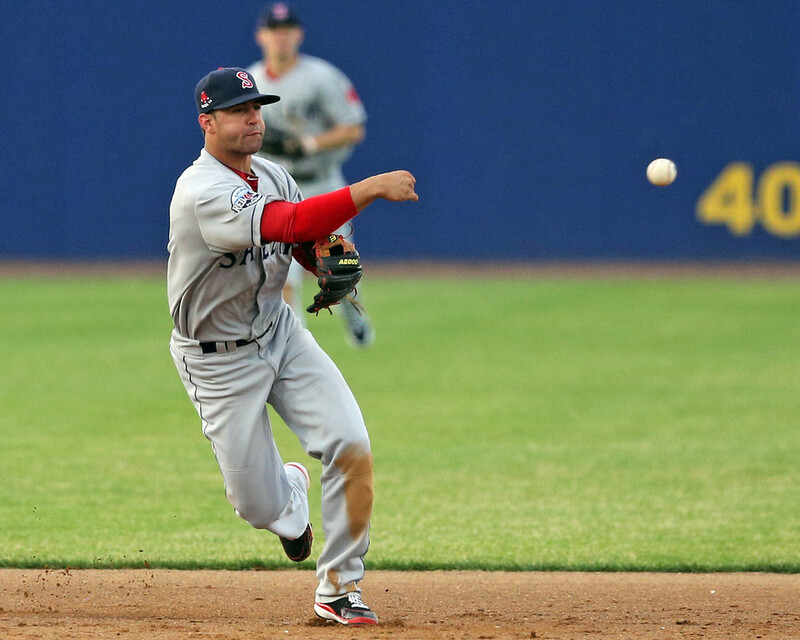 Luke Lavoie and James Crowell are Staff Writers for SoxProspects.com.